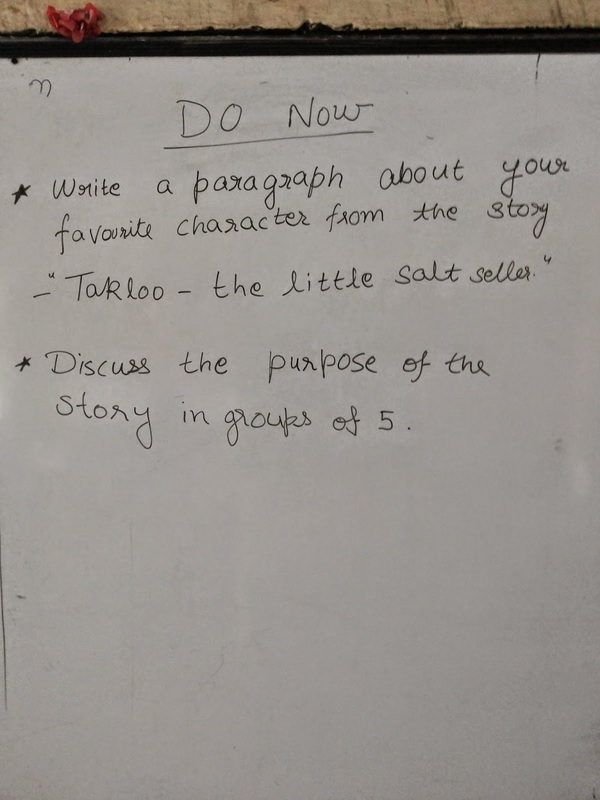 Pooja Pal shares photographs from her storytelling session. 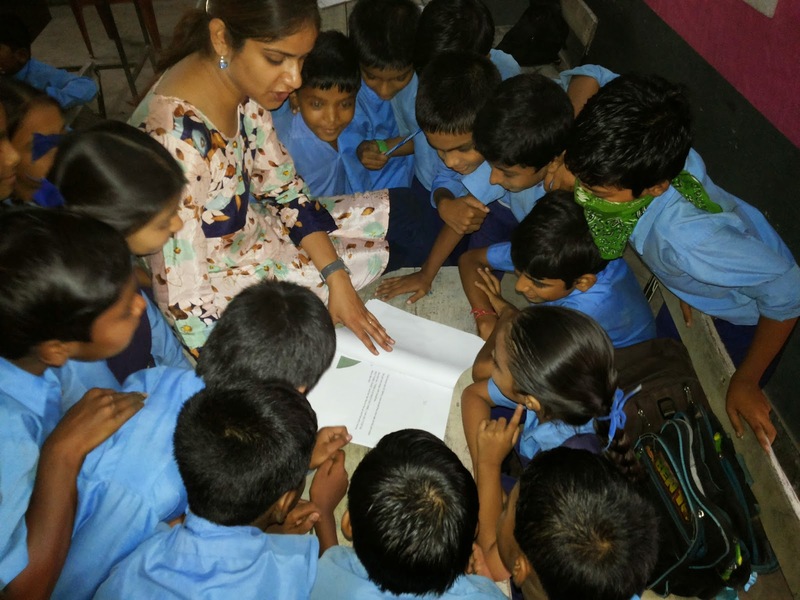 Pooja Pal is presently working with Teach for India as a Fellow with grade 5 at Ambedkar Nagar Sec - 2. I conducted a read aloud for my kids followed by a question and answer round. 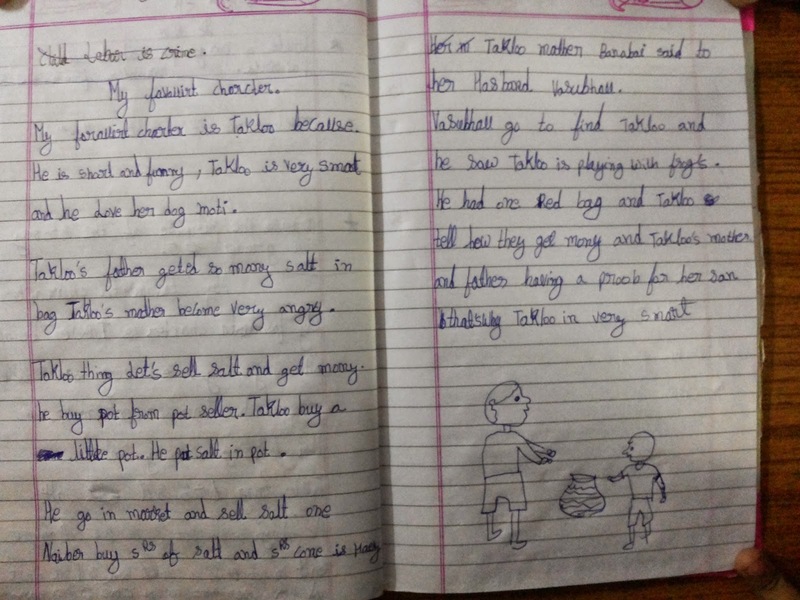 I teach a grade 5 classroom at Nigam Pratibha Vidyalaya, Ambedkar Nagar Sec-2, New Delhi. 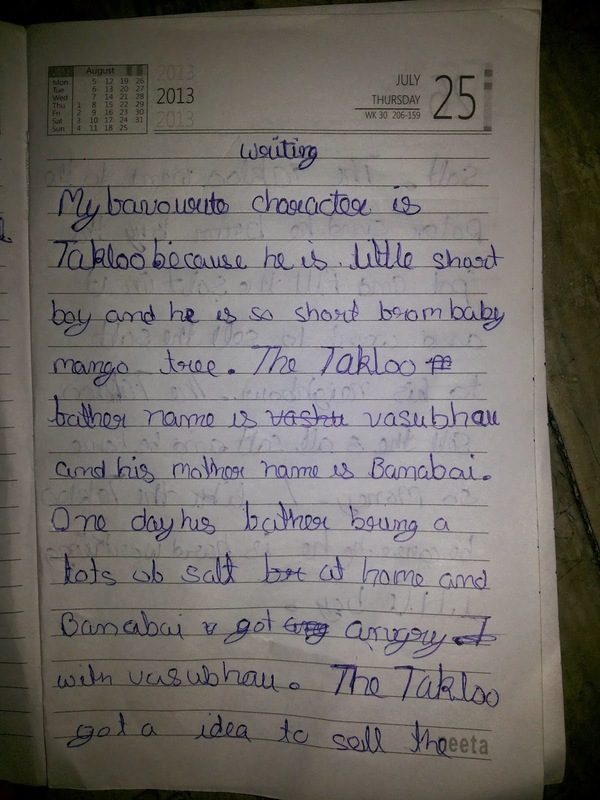 It was fun to read Takloo - The salt seller and kids really enjoyed the illustrations.We all fell in love with the characters. I myself love reading and want to inculcate this habit in my kids. They have started loving it too. I conducted the session on 6th of September 2014. 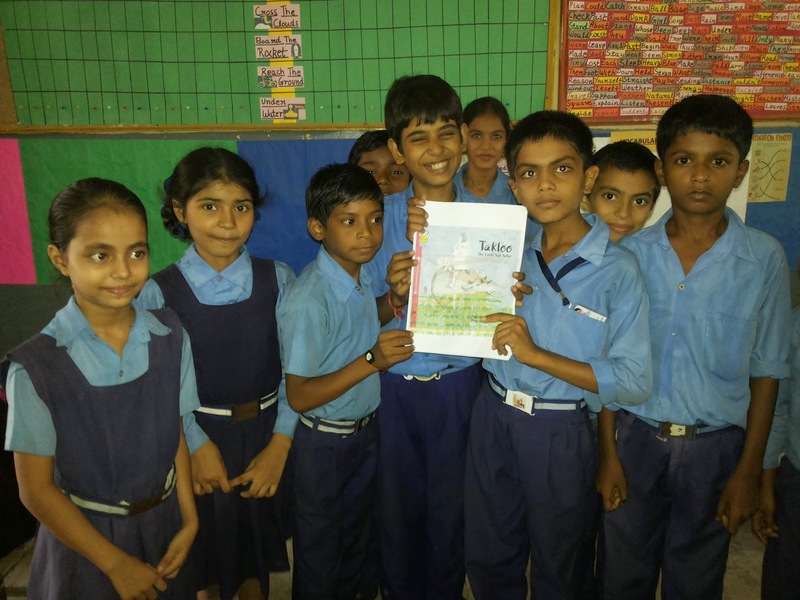 28 kids of grade 5 attended the session which was conducted in English. It was great fun for me and them too. They would certainly love more such stories. I have loads of them in my class library. They simply love story telling.So thanks a ton on behalf of my class for the opportunity. 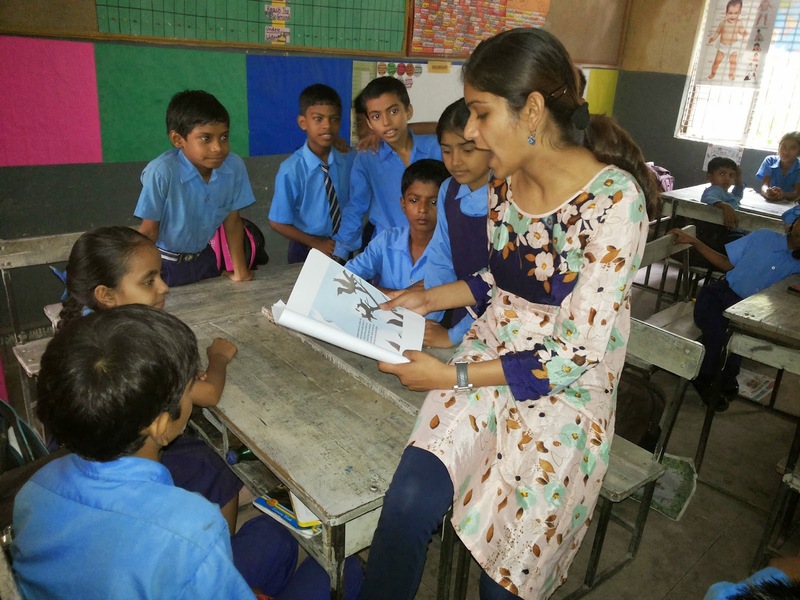 Thank you Pooja Pal for spreading the joy of reading!